As many of us know, it can be an incredible challenge to create a website with wonderful content that can generate leads and attract qualified traffic, but, once you do, it's extremely gratifying to see all that hard work finally paying off. Unfortunately, there are many out there who may decide to use that success to their advantage… We’re not talking “imitation is the highest form of flattery,” I mean they may straight copy your content, design, or worse, your entire site.In fact, shortly after our big homepage redesign, we discovered IMPACT’s site was duplicated, and believe me, it’s been a pain to deal with. What’s even scarier is it’s easy for copycats to go unnoticed for months, or even years, until one day, someone, be it you or a site visitor, makes the unhappy discovery. Depending on the severity of copyright, it’s easy to start counting how much money you plan to spend on a lawyer, but before you jump to the extreme, there are much more affordable (and free) approaches to take down the content you should attempt. Below, I’m going to walk you through the steps you need to take to get copycat content taken down (several of which we did) and how to react when the easier plans just aren’t going to cut it. To preface the remainder of this article, I am not a lawyer, nor am I pretending to be one. If you need to seek legal advice over copyright infringement, please contact a lawyer or other legal experts to identify appropriate resources. Before You Do Anything, Take Screenshots! It’s natural to immediately want to contact the appropriate parties when your site gets copied, but pause for a moment, and be sure to first take screen grabs of the duplicates and if possible, use tools such as Wayback Machine to view the crawled pages at earlier dates. Also, take screenshots of your own work as proof in case you need to update anything as you go through the next steps. You’ll likely find that parts of the site that were copied need to be updated, changing the layout or copy. Doing this ensures you aren’t scrambling to revert pages to previous states. Depending on the severity of the duplication, you can sometimes reach out to the website’s owner and request the page/pages be taken down. If this is a single page or a few design elements, chances are there may be a contact form on the website you can utilize, and they’ll be willing to work with you. 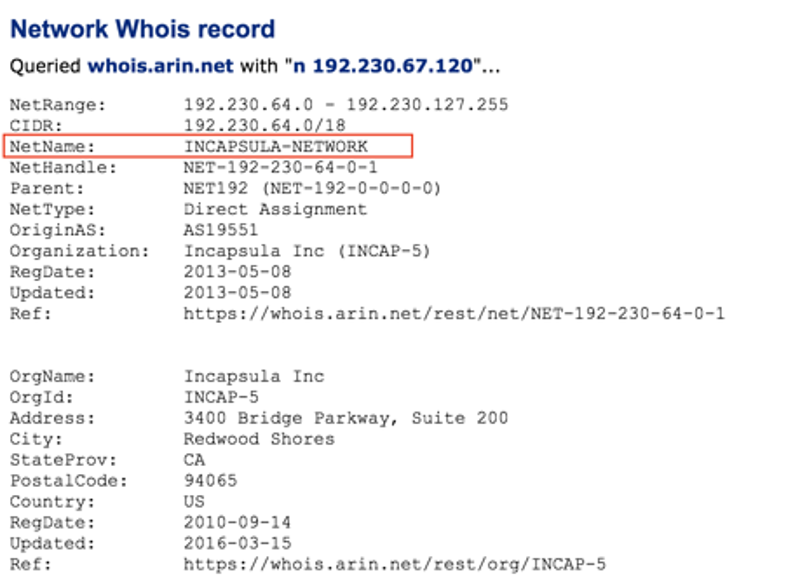 If not, then you’ll need to do a “WHOIS” lookup to see the site’s information contact info. Whenever you are asked to register a domain for your website, the registrar (the business you bought the domain from) will have you fill out a form of contact information, so this information is available whenever you do a WHOIS search. Once there, type in the URL. For example purposes, we’ll look up Hobby Lobby. Among the long list of things you receive, you should see ‘registrar email’ listed. This would be the best email to contact to request having the stolen content removed. Now, people do have the ability to pay for services that privatize your registrar information. Emails ending in @domainsbyproxy.com, or similar proxies are those that are private. They are typically forwarded to a real person, but in some cases, the email leads to a dead end. In IMPACT’s case, we noticed the copycat site has a phony email address listed (something along the lines of janedoe@gmail.com) which malicious copycatters will do. This meant reaching out to anyone wasn't an option. Womp. If you are able to provide sufficient evidence of the copied material, and are a representative or can act as one for your organization, you can contact the server host and request the page or site be taken down. To do so, you first need to identify the server host. Note, the company who registered the domain is not necessarily the company hosting the site. You need to look under the Network WHOIS information to identify this. 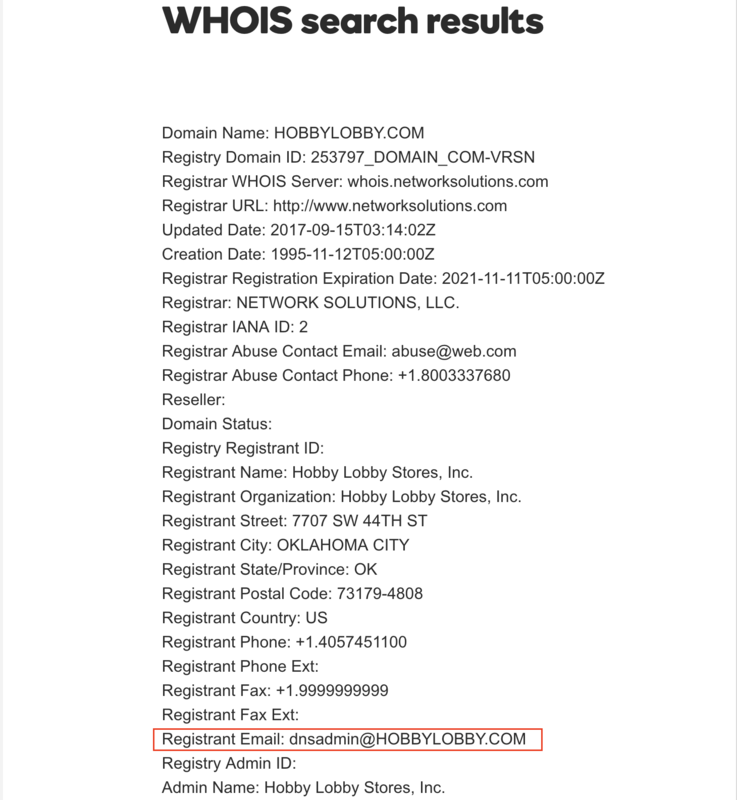 To see this, you can use a site like http://domainwhitepages.com/ which gives you both registrar and network information. This record will also provide the abuse email and telephone number. Some hosts, if large enough, will even have abuse forms on their website that you can fill out. If not, contacting them by email is the best course of action since you can provide image evidence too. I’d suggest only using the phone if you are following up on an abuse ticket and need a status update. Remember, as annoying as this situation is, make sure you leave your emotions aside when contacting the host. It’s not their fault and they’re trying to help. Just be direct and specific as to what was copied and next steps they need to take, and usually, they'll comply. In rare cases, the host may not respond (surprise, this was the case with IMPACT), or, the host may actually be the company who copied your site (cue the Illuminati symbol). Well, it’s time you upgrade and get the big guys involved. If you are struggling to get those parties listed above to take down the site, you can move into submitting a Google DMCA request to have the content links removed. Note: Submitting this request is only getting the site removed from Google Search, this does not technically take down the website altogether. You can also submit a Bing DMCA if you have organic traffic from that search engine as well. If you need the website taken down completely, I suggest moving onto the next subheader. When filling out the form, you’ll need to have URL examples of the copyrighted material online. If your entire site was copied, you can use a site crawler, such as https://www.xml-sitemaps.com/, to generate all the links on the duplicated site to be pasted into the copyrighted text field. Then, do a find and replace for the domain on all of those links, and replace it with yours to submit as the originals (this only works if the only change is the domain part of the URL). After you submit the form, you can monitor the request on your dashboard which will show the number of URLs submitted and their status. The links that are in Google Search Results will show as removed if they violate the DMCA, if the links have not been indexed, then Google will not be able to take action on them. In IMPACTs case, we submitted 500 duplicated links, and Google has been slowly segmenting them based upon what’s actually in the search results. In the case that you need the site to be taken down entirely, you can issue a DMCA Takedown who can personally remove the site for you. The catch is it costs $199 per site, but, for many, this can be a perfect price to pay rather than getting legal experts involved. Overall, this is the most cost-effective option for those looking to get the site removed who are left with no other potential options. If all options are a no-go, you may need to pursue legal action. This may be in the form of an official cease-and-desist letter to the offender, or to the hosting company. In the event that neither responds, you can then move into filing a lawsuit, but, this is an absolute last resort due to its extreme stress on your time and resources. If you’re considering this route, make sure the damages you are suing for outweigh the money you are pumping into the lawsuit. When an entire large scale site and SEO value are on the line, it may be more worthwhile, but for a page or two, it may be better to attempt the Google DMCA approach. Google Alerts - This tool enables you to monitor content around search queries you enter into it. For example, if you have popular articles on your site, you can input the title as the query to make sure no one is duplicating its content. Copyscape - This searches for duplicate content on the URL you enter in the search box. While beneficial for single pages, you’d need the premium service if you are looking to batch check multiple pages at once (which can check up to 10k pages). DMCA Protection - Offers both a basic and pro service that, depending on which you choose, monitors and scans for any copies that appear online, prevents right click, etc. The basic is free, while the pro is only $10 a month. This is ideal for those who have has issues in the past of their pages being duplicated frequently. Disabling Right Clicks, Highlighting - There are ways you can disable right-click to prevent people from stealing text or imagery from your site. You can even stop your images from being indexed or disable reverse image search on them. If you’ve found smaller things on your site tend to be copied, these fixes may help prevent this. 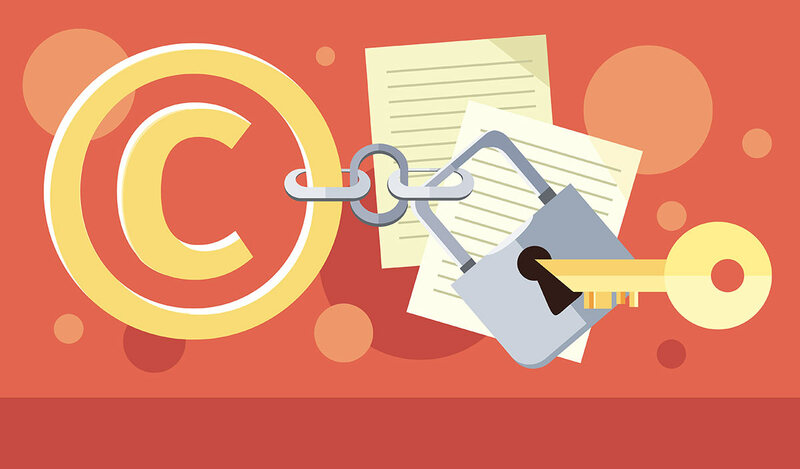 At the end of the day, as long as your content exists online, people can take it one way or another, copyright symbol or not. There are even services out there that can duplicate sites for a price, and scary enough, they are easy to find. I’d love to hear you thoughts on this. Has this been a issue you’ve encountered? Did you resolve it differently from the ways listed above? Let me know below. Also, if you have any questions about this, feel free to ask in the comments too, I’m happy to be of any help.